Bishop Sadie M. Smith is the Pastor and founder of Shabach International Ministries in Landstuhl, Germany. 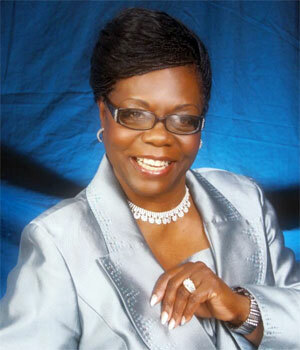 She also serves as the Overseas Bishop of the Holy Deliverance Church of God, International. Although Bishop Smith’s gifts and callings are many, her mandate from God is to build “Kingdom Disciples” by teaching the people of God how to effectively apply the Word of God through biblical principles. The result has been the salvation and restoration of families, all to the glory of God. Her passion for souls and to fulfill God’s mission has reached as far out as Africa, where Shabach International Ministries, Kenya was birthed. Bishop Smith is a native of Durham, North Carolina and has been married to Mr. Anthony Smith for over 40 years. They are blessed to have three beautiful children: Donald, Sandrea and Sharon, seven grandchildren and five great-grandchildren. Bishop Smith currently attends Liberty University in pursuit of her Bachelor of Science Degree in Religion with a Minor in Biblical Studies.